Steven (Chicagoland, United States) on 11 May 2015 in Architecture and Portfolio. Photo captured May 1, 2015. Sueprbe vue et ocmpo quel rendu dans les tons et vue quel effet avec ces chemin spendide. 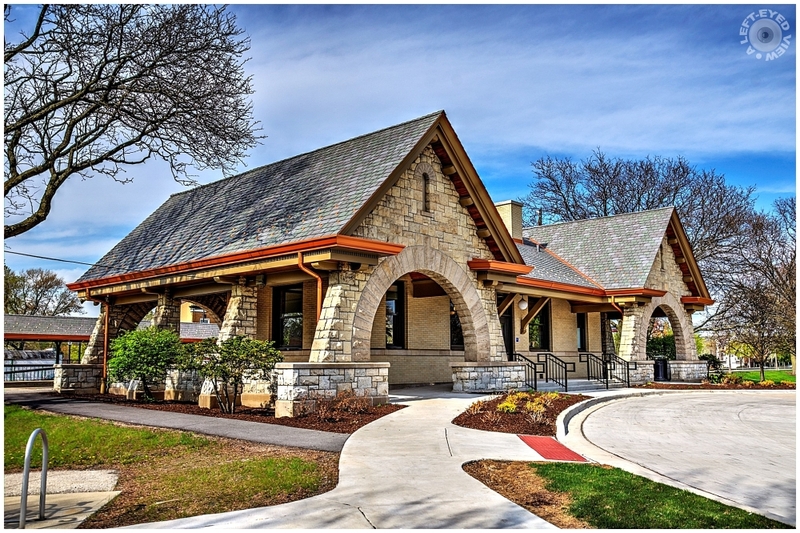 What a remarkable design for a train station . . and beautifully restored, too. What a nice location! And a good picture too! Lovely building and nice place! Well done. A gorgeous image! I love the arched entryway. The architecture is just beautiful! Wonderful clean, crisp rendition of this beautiful station. Wonderful, saturated colors. Excellent rendition. Great exposure and clarity in all the awesome details in this building.